If you have an active My UNC Chart account, you already have secure access to contact your provider, view test results, request medication refills, and more, from the comfort of your own home. The free MyChart app provides the convenience of quickly and easily accessing this information on your mobile iOS or Android device. 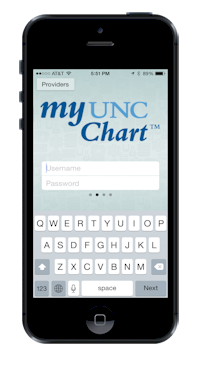 Note that all My UNC Chart features are not available on the MyChart mobile app. A list of available features and limitations is available below. 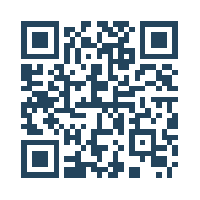 If you have a QR code scanner on your mobile device, scan the appropriate QR code below to download the MyChart app directly to your device. 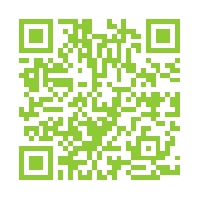 Alternatively, select the link to either the iOS or Android AppStore. Send a secure message to your provider about non-urgent medical advice. View lab test results, allergies, medications, immunizations, and medical history. View other My UNC Chart accounts for which you have authorized proxy access. Password reset is available in the web version only. Once your password is reset you can log into the mobile app with your new password. Unlike the web version of My UNC Chart, if you've granted others proxy access to your record, you do not have the ability to deselect proxies from viewing messages that you send to your providers. The web version allows you to control which proxy delegates can see them.